Black Sabbath are sharing a series of TV commercials promoting their upcoming shows in New Zealand and Australia. The band are set to launch their 2013 tour on 4/20 at the Vector Arena in Auckland, NZ; they’ll perform a second show there on April 22. 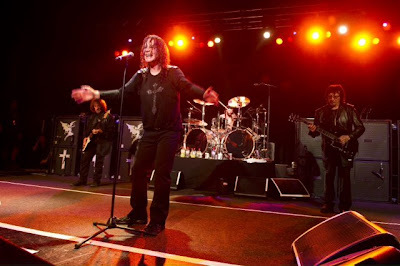 Sabbath hit Australia for dates starting April 25 in Brisbane. The tour was originally scheduled to coincide with the release of the band’s reunion album, “13”, but the group recently announced the project will now be released in June.